“I like to see a man proud of the place in which he lives. I like to see a man live so that his place will be proud of him” quote Abraham Lincoln. I am so excited to announce the story I submitted last year to Chicken Soup for the Soul has been accepted and published in the Military Edition! 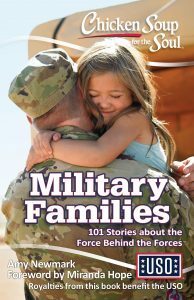 I am humbled and honored to have our story alongside other men and women who have served and been the force behind the forces. And I’m thankful to have another opportunity to be published in the Chicken Soup Series! I can’t believe how completely different our lives look now. Never in my life did I think I’d be in this place I am today. Never in a million years did I think I would be living in Alaska, living on a military base with my husband serving in the United States Air Force. 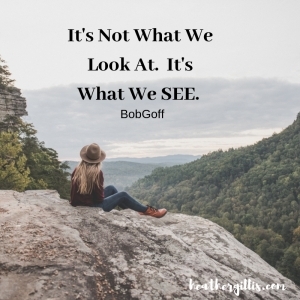 Never did I imagine all that we would see and learn just by taking a step of faith out of our comfort zone. Only God. You just never know what God has planned. Even though we left everything we knew–family, friends, kid’s school, our home, jobs, etc. We wouldn’t trade the military or Alaska for anything. Coming up here we have become a closer knit family. Moving to a place where you know no one, makes a family depend on each other in ways you never had before. We also get to meet amazing military families who sacrifice their lives and serve just so we can be safe. There is so much more to our story than what is published. God has been writing our story for quite some time and is always full of surprises! Life wouldn’t be life if there weren’t curve balls, sharp turns or detours would it? As I am writing these words, we are getting ready to embark on our new journey to Colorado! In fact we could really use your prayers. There are a lot of unknowns of where we will live and what school our kids will attend. We are trusting in God’s provision and leaving it in His hands. Even though we don’t know how all the details are going to work, we know God has it already worked out for us. There is something powerful in doing something bigger than yourself. Alaska has taught us many things especially the art of camping and how to be prepared in all kinds of situations (wild life, negative degree weather). 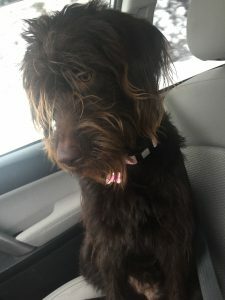 We will be driving with our two kids and dog in our RV through Canada this summer, stopping by national parks along the way. It is bittersweet for us to leave all the wonderful friends who have been our new military family to embark on our new adventure. But we are excited for our new adventure that awaits. Sometimes I question if we have to move every 3 to 4 years how are we able to grow roots? I believe God uses us wherever we are. He allows us to bloom wherever we are planted growing our roots deeper in every step of faith and act of obedience. I will cherish the relationships and friendships we have made along the way and carry them in my heart wherever I go. Each journey we go on grows us and prepares us for what God has in store (hence why we named our dog Journey ; ). 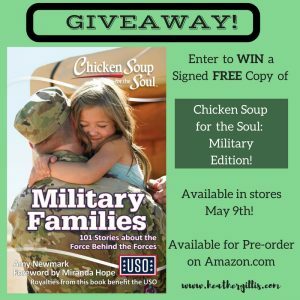 Want a chance to win a copy of Chicken Soup for the Soul: Military Edition for your self? Before it is available in stores? Here’s How to Enter: Contest ENDS May 12th! Do all three for THREE chances to win! I will need your email to notify if you won. The Contest is only for those who live in the United States. I promise I will not share your info with anyone. If you win I will need your mailing address so I can send you a signed hard copy of the book! Please share with others so they can have a chance too! I will announce the winner via Facebook and email. Please like the Facebook page or leave your email in the comments in case you win! Good luck! Chicken Soup for the Soul: Military Edition is available for pre-order purchase on www.amazon.com for only $10.37! It’s a perfect gift to give to that special someone who serves for Memorial Day! Want more encouraging messages sent right to your inbox? 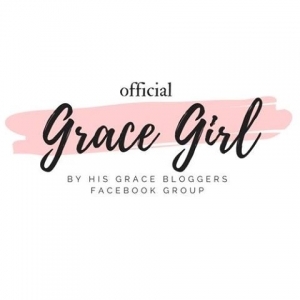 Subscribe to my blog and receive a weekly Monday message! Follow us along our journey, like my Author Facebook page to catch the latest posts. Have a blessed week! I have a confession to make. There are certain areas of my life that are in a state of continual mess. My desk is one of them. I probably shouldn’t admit this, but there is something very comforting about my messy desk. Maybe because it doesn’t demand me to keep a certain appearance of having it all together all the time. Or maybe because it doesn’t nag me to clean it up? 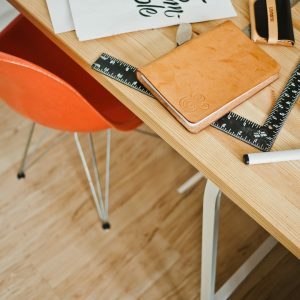 Do you have an area of your life that is in a continual messy state? I struggle to keep my messy desk organized. One piece of paper out of place leads to a pile, which leads to a mountain of open books, to a point I don’t know where anything is! My messiness impedes progress to move forward in completing projects. I get to the point where my desk is so messy I am forced to organize it. Even though there is a place for everything, somehow in my busyness and distractions my desk becomes messy again. The time I need to organize and put away things is easily replaced by other activities or commitments. I have good intentions to keep my desk clean, but somehow the piles seem to always appear! My desk is a reminder of how my one decision to not put something away, leads to a big mess! There lies a constant struggle within all of us, to keep our lives without messes. Is this a realistic achievement to have a life without messes? I don’t think so. I think messes are apart of our lives, whether they are physical or spiritual. I think our messes are apart of our stories in which God has written. My mess makes me think of Joseph in the Bible when his brothers sold him into slavery. His brothers did not like Joseph because their father showed favoritism towards him. Their jealousy took a turn for the worse when they plotted an evil plan to kill him. Thank goodness one of their brothers had the sense to spare his life. Instead, they plotted to throw him in a well and sold him to the Ishmaelites traveling to Egypt. The brothers then decided to deceive their father, making him believe his beloved son was killed and devoured by a wild beast. They even killed a goat and dipped Joseph’s coat in blood to show their father, to make their whole story seem more believable (Genesis 37:12-36). What a mess! Their evil plot to kill turned into a lie, which turned into a conspiracy of deception–selling their brother into slavery! I can’t imagine how their father felt, thinking his son died, but was really deceived by his own sons and didn’t even know it! Oh, what God can do with our messes. Little did Joseph’s brothers know, what they intended for harm, God intended for good to accomplish His greater plan (Genesis 50:20). What the brothers thought would be the downfall of Joseph, God used to equip Joseph all for His glory. Joseph had been a slave in Egypt for about 13 years. In that time he learned much because he was a servant of Potiphar, an officer of Pharaoh. He gained favor with Pharaoh when he was able to interpret one of Pharaoh’s dreams (Genesis 41). Joseph’s dream saved Egypt from a great famine that devastated many lands around them. Unknowingly, Joseph’s brothers came to Egypt looking for food, not knowing their brother Joseph was there, in a place of power. In Genesis 45, Joseph finally reveals himself to his brothers, letting them know he indeed was still alive and had power in the land of Egypt. He was able to spare his family from the famine by supplying them with much food, and land for their flocks and herds. What an amazing surprise for Joseph’s father Jacob, to discover his son Joseph was still alive! Joseph could have repaid his brother’s with revenge, but instead, he chose to love them despite selling him into slavery. Even though Joseph’s brother’s intended to harm him, God was at work the whole time. He turned the brothers’ horrible decision into one of the most glorious plans ever! There is Victory in Our Messes! Can you relate to Joseph’s story? Have you been in a mess and felt like there was no way out? I promise you can trust that God is at work in your life. If God can deliver Joseph from slavery making him a powerful ruler over Egypt he can deliver you from your circumstances. Stay faithful in prayer, I promise God is listening! We may not always see what God’s plans hold, but can trust he has something better for us just ahead! (Jer. 29:11).